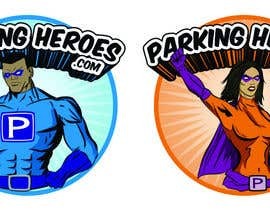 Parking Heroes consists of a group of residents who are passionate about community service and have come together to reduce ticketing in our neighborhood. I was about to post my entry on the contest but it has been closed. Please Have fun with the characters, I really appreciate all who enter this contest and would like to thank you in advance. We are open to purchasing multiple submissions as well.